Source for WeMos D1 Mini - Smart Meters - ESPproMon Smart Meter and Home Automation Community. Google Nest, British Gas Hive and Apple HomeKit on a budget. 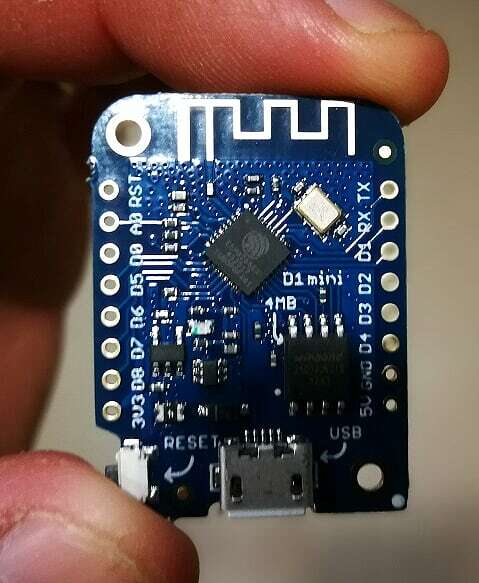 We received an email today asking where the ESP8266 can be purchased from. I guess this is a welcome sign that our websites now receive visitors that are not familiar with this MCU i.e. the general public. We use the WeMos D1 Mini but you might want to consider the Pro version if your Peacefair Pzem-004T is going to be located a long way from your router. The Pro allows you to connect an external antenna but it does require a minor mod to the development board. 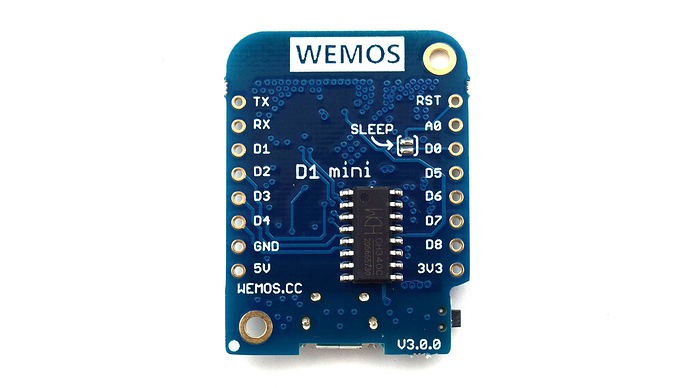 You can find out more about the WeMos D1 Mini from the WeMos site here and you can buy the official product from their listing on AliExpress here. There are clones available which work out around half the price when you factor in postage costs and one of the many sellers on AliExpress is here. Clones are not always identical so it’s up to you to decide if you should buy an original or a copy. Hello! I believe that was me!! I am new to this world. So i have a lot of doubts. I was searching for an app like this. I have a solar power applicance at home, and i want to monitor it. 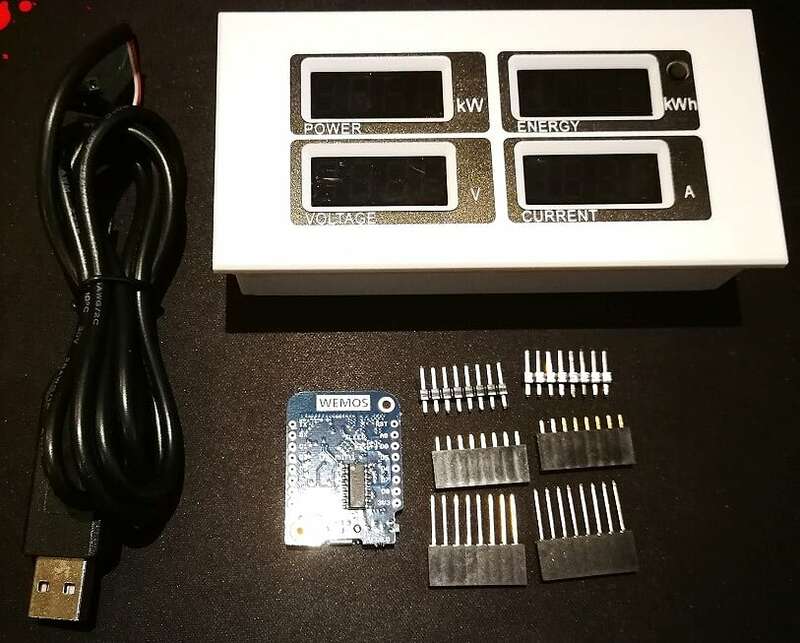 I have bought 2 PZEM-004, because i want to monitor the power that comes from the energy company, and power that comes from the solar panels. I have bought and Efergy monitor, but they are very innacurate. I have batteries to store the energy i am not using, so i have an hybrid inverter installed, and the efergy system does not work well with hybrid inverters. The PZEM monitor are perfect for the job. And the fact i can have all the values in a app,makes them more than perfect. So the next step for me is to buy the processor. I have searching in ebay for the WeMos, and there a lot of produtcs. I was not aware from the clones, so i have to buy in AliExpress. But normally, products from AliExpress are retained in the customs (the PZEMS have…). But, because they cheap, maybe customs ignore the WeMos. Now the questions begin!! I will install 2 PZEM… but the WeMos can have only 1 installed. Even if i bought 2 WeMos, can i have both WeMos feeding the app? Or the is not ready for 2 monitors?? 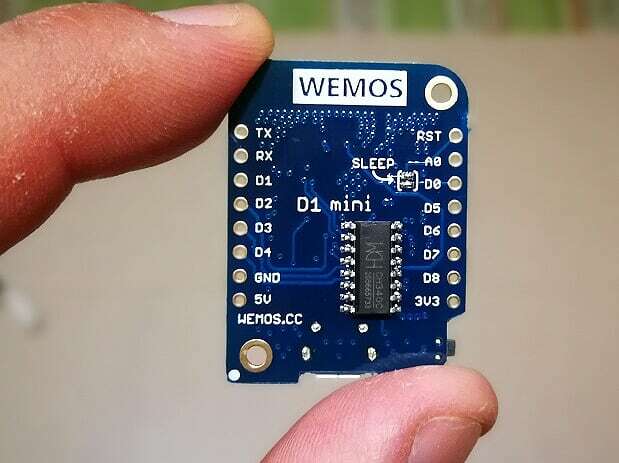 @paulosaints you shouldn’t have any problems receiving the WeMos D1 Mini’s in Portugal. I have never heard of anyone having problems receiving these and as long as you only order a few they should be well below the customs duty level in your country. You are correct that the firmware for the WeMos is only configured to accept one Pzem and the app also only expects one WeMos at a time. However the app can connect to many different WeMos’. You can either connect additional units in the app or create an additional account on our server to access each WeMos. @Costas hello, the noob is back. I received 2 WeMos D1 Mini. I believe i have to flash the firmware from espressif site. Sorry, but a lot some questions will happear, because i am a true noob regarding IoT. Yes take a look at this post for the actual details. Click my avatar below to expand the post. I am posting the details of the Espressif Download Tool here to ensure users flash their 4M (WeMos / NodeMCU) devices as 32Mbit and not 4Mbit. I will also post a link at the start of this thread. The download tool is available on Espressif’s site. The full thread is here. Do you know where our firmware is to flash to the WeMos? Yes you can use the ESP-12F but you might need to provide a separate power feed to the Pzem TTL port. Study that page in detail and the link is within the concatena section. I would like to know if it is possible to load the firmware with the arduino IDE, I have not been very clear about the use of the esptool tool. There are posts on this site that allow you to flash an ESP8266 with a basic OTA sketch. You can then load the firmware via OTA. hello costas, I managed to load the firmware. I had a problem and damaged a module because after pairing the module with the app the module does not show its ssid and I thought that the module esp8266 had been damaged and the app did not show the previously configured module. I tried to replace the esp12f with another because I thought it was bad and in the desoldering process the esp12f was destroyed. I still do not get my pzem 004t and I wanted to know if for this reason the app does not show any modules to add that I have already successfully matched two. On the other hand the problem they have with the server takes me by surprise, I write to you from Colombia and I can not donate because I do not have credit cards.